lactose fermented dill pickles | eating with S.O.L.E. 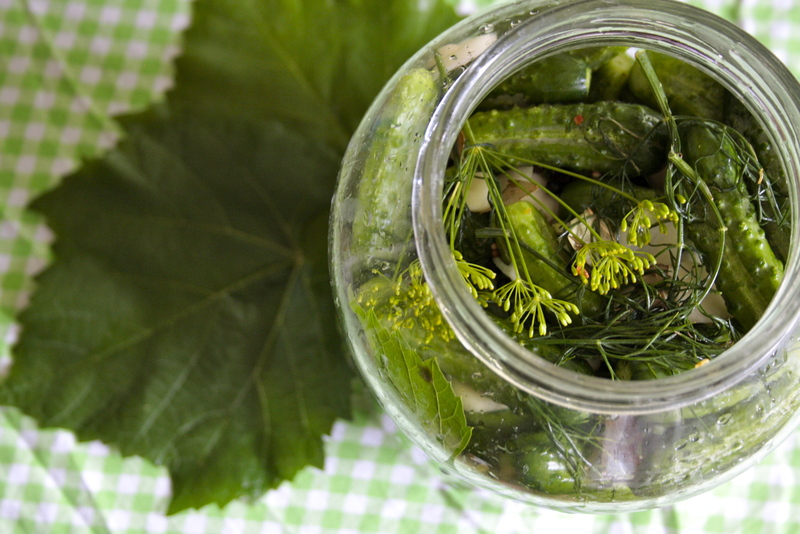 I started with a 4l glass pickled jar and filled it to the brim with whole small cucumbers, a good amount of garlic cloves, and a couple handfuls of fresh dill leaves and flowers. I then added about 1 Tbsp of my homemade pickle seasoning blend, and about 4 grape leaves freshly harvested. 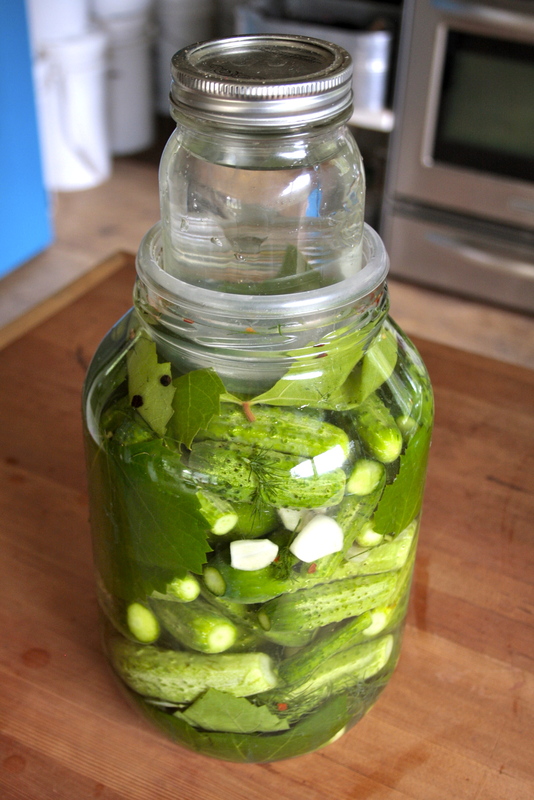 make sure the cucumbers are totally submerged and ensure that the weight you have keeps the pickles and seasoning all submerged. I actually stuffed a whole grape leave over the top to hold the cucs in place. Then I added my snug fitting plastic dish lid, and set a pint jar filled with water in it as my weight. Allow pickles to sit on the counter top for 3 days before moving to the fridge to be kept (and eaten) for up to a year. This will yield those NY deli style sour salty pickles. No vinegar, no processing, no problem.